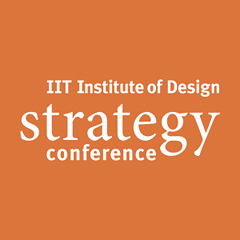 The annual IIT Institute of Design Strategy Conference connects thought leaders from industry, civic organizations, and government to explore how design can address the complicated problems facing society and business. Speakers will bring to light numerous challenges that need the creative rigor of design. The audience is as diverse and interesting as the speakers, with many regular attendees coming from Brazil, India, Japan, Korea, Mexico, Spain, and the UK. They represent a wide range of industries, finding shared interest in linking the strategy of their organization to insights about the people who use their products and services. There are numerous conferences where designers talk about business. The Strategy Conference is different. It is the best event to hear senior executives, authors, and leading academics talk about how they use design. Jim Hackett CEO and Director, Steelcase Inc.